Despite being paired in a seemingly hard group with Argentina, Croatia and Iceland, Nigeria Football Federation president, Amaju Pinnick believes that the Super Eagles will advance to the knock out stages. “With the caliber of players we have right now with the team spirit that is embedded inside the team right now, we believe we will not just qualify for the Nations Cup by God’s grace, we will do very well [in the tournament]. “I keep saying to my executive committee members that we are a team that is better prepared for the next World Cup, even this World Cup. “We are the youngest team statistically going to this World Cup and this team is very strong, united, coordinated with one goal-success. “So, if you put this team together in four years they’ll be more mature, more experienced and they’ll be more enterprising. Amaju disclosed that it was the NFF that intervened on behalf of Nigerian players who were warming the bench in the clubs. 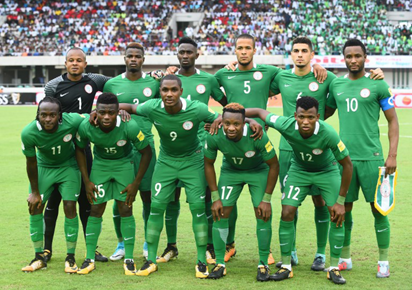 The post World Cup: Eagles will go far — Pinnick appeared first on Vanguard News.